The GET DP-508-T SuperMel™ lunch plate is made of durable, break-resistant melamine. It should not be microwaved since melamine is susceptible to cracking and breaking in high heat. 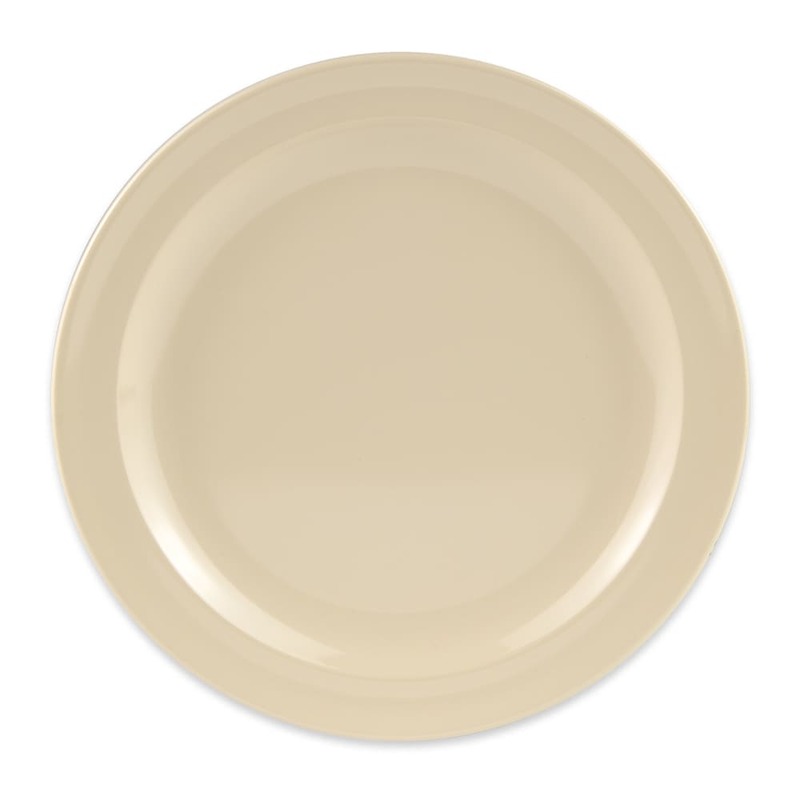 However, this tan dish can withstand temperatures below 200 degrees Fahrenheit and is safe to clean in the dishmachine. 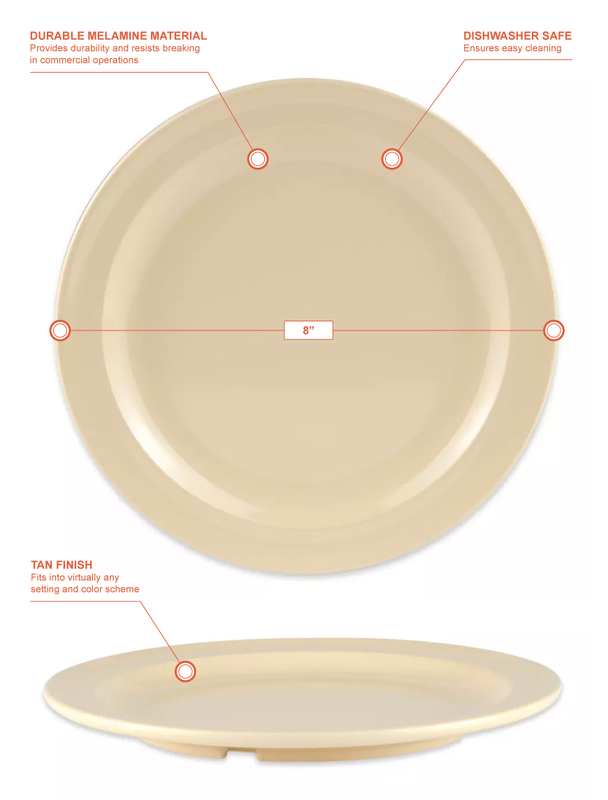 Our explainer on dinnerware provides in-depth information on plate materials.